Included below are gated community homes for sale in La Jolla. If you would like more information on any of these La Jolla gated real estate listings, just click the "Request More Information" button when viewing the details of that property. We can provide you with disclosures, past sales history, dates and prices of homes recently sold nearby, and more. And, if you haven't already, be sure to register for a free account so that you can receive email alerts whenever new La Jolla gated houses come on the market. 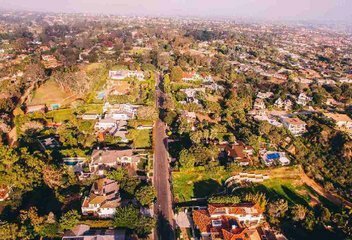 When searching gated communities in La Jolla you will find residential single family home gated homes for sale in Montoro, Windemere, Ridgegate, Ventana, La Jolla Serena, Crystal Bay, Emerald Cove, and Blackhorse. Townhome and Condominium complexes in the La Jolla Village and Windansea Beach / Beach Barber Tract area have secure access garages and gated entrances. Emerald Cove is located south of Crystal Bay, Emerald Cove is gated community of eighty Techbilt two story homes located along the southern slope of Mount Soledad. There are six floorplans within Emerald Cove, The Sea Star, The Triton, The Nautilus, The Dolphin, The Sea Horse and The Sand Dollar. West facing residences located on Caminito Bayo have ocean and bay views. Montoro is an exclusive gated community of custom built homes overlooking the La Jolla Shores. Montoro community amenities include tennis courts, pool, and spa. Montoro is the only ultra luxury single family residence gated community in La Jolla. La Jolla Serena is an exclusive privately gated enclave of only thirty six homes in northern La Jolla.